Best Direct Composite Veneers Technique for Temporaries? I’m looking for some information on what the best direct composite veneers technique is when it comes to temporaries. I’m a dental assistant and the doctor I work for just recently really started doing a lot of cosmetic work. The problem is, he’s got us making the temps just like we do for crowns- by taking an impression and then using the temporary crown material. The end result is that the teeth are all interconnected and, to be blunt, it looks bad. They’re mismatched, clunky, and chunky. I have yet to figure out if there’s even a way to make it look ok, let alone look good. I feel so bad when patients look at the temps I make because they’re spending thousands of dollars for porcelain veneers and they leave their visit with us looking like they’ve got a huge set of false teeth. I almost hate to show them at the end because they always look so shocked and sad. Yes, I remind them that they’re only temporary, but it doesn’t really help. I’m researching direct composite veneers techniques for temporaries in the hopes that I can find something the doctor can efficiently use, so we can send people away with a smile, even if they are just in temps. I’m very hopeful that, if I find something good, I can pitch to the doctor and he’ll go for it. Kudos to you for looking into options that will help raise your office’s standard of care. You’re right- patients do feel dejected when they see a crummy set of temporaries, even if the know they’ll only be in them for a week or two. They still have to go to work and social engagements during this time period, and they should feel good about the way they look. Moreover, disappointment with the temporaries can give them a bad feeling about the procedure overall, so they may worry about the final results or even reject the finished porcelain restorations because of a bad experience with the temps. Going with direct resin is a great choice and allows the doctor greater control over the finished results, but doing temps like this can be time-consuming without the right tools and experience. Using a matrix or a form can help speed up the process and improve aesthetics. Visit the Uveneer video page to see a direct composite veneers technique that involves a matrix for temporary restorations. With a skilled assistant by his side, a knowledgeable cosmetic dentist could have temps done in a matter of minutes. Best of luck to you. Which Toothpaste is Best for My Cosmetic Bonding? I had cosmetic bonding done a few weeks ago and I’m quite pleased with the results. Overall, my teeth look very natural. I think my dentist did a good job matching the shade and shape. Going forward, however, I’d like to know if there’s a specific type of toothpaste I should be using to help care for the dental work, so it lasts as long as possible. 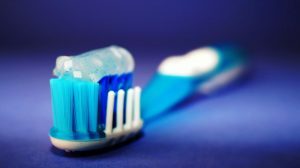 There isn’t one type of toothpaste that’s better than others when caring for your dental work, but we’ll go over what exactly it is and provide some tips that may help you make good decisions when purchasing products. The material used in cosmetic bonding is a composite resin; it’s made up of glass and plastic. The dentist can apply this in many different scenarios. It’s often used for fillings when someone has a cavity and it can be used to help reshape broken teeth or be applied like a porcelain veneer, as a layer across an entire tooth to enhance its shape and color. It comes in numerous shades and thicknesses, so dentists can match a tooth perfectly, even if one part of the tooth is darker or lighter than the rest. The material goes on fluidly and is then cured, so it becomes solid. It’s important to know that, although composite resin is very strong, it’s not as strong and durable as the natural enamel of a tooth. Nothing is. For this reason, you should exercise extra care in order to keep it looking good for as long as possible. Don’t use your teeth as tools. Although you should never use your teeth to open things or bite your nails, it’s twice as important when you’ve had dental work done. You could break or crack your teeth and the resin. Wear a night guard if your grind at night. Bruxism can break your teeth or wear them down as well. It’s a good idea for anyone with a night grinding habit to see their dentist to have a night guard made, and it will help protect your investment if you’ve had aesthetic dental work done. Be gentle with cleaning. A soft-bristled brush with a non-whitening paste is best. Toothpaste that’s designed to whiten is often abrasive and it can leave tiny scratches in the surface of your restorations. Those scratches will pick up stain easily. Don’t forget to floss- it’s important for your gum health. See a cosmetic specialist for professional cleanings. 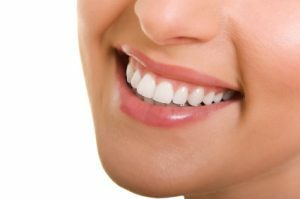 The technique and materials used to clean restorations is different than natural teeth. Hygienists who aren’t trained to care for aesthetic work can occasionally use something too abrasive and damage or scuff the restorations. You should return to your dentist at least every six months, or more if directed, for a cleaning and exam. This blog is sponsored by Uveneer, maker of the Uveneer composite veneer matrix for dentists.